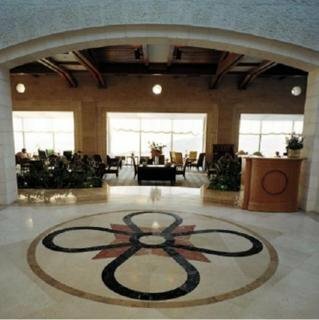 The Club Resort is Suitable For Groups, Holidaymakers and Business Travellers, Conventions, Workshops and Seminars, and is Just a Short Walk Away from Historical Nazareth and Its Holy Sites. The Air-Conditioned Business Hotel Offers 243 Rooms in Total and Welcomes Guests in a Lobby With 24-Hour Reception and Check-Out Services, a Hotel Safe, Currency Exchange Facilities and Lift Access. Guests May Also Make Use of the Hairdressing Salon, Kids' Club (Fees Apply), Caf??? ?, Bar, Dining Room, Conference Facilities and a Car Park. Internet Access and Room and Laundry Services Are Also Available For an Additional Fee.